Daniel Sheehan of the Lakota People’s Law Project led Iron Eyes’ defense team. 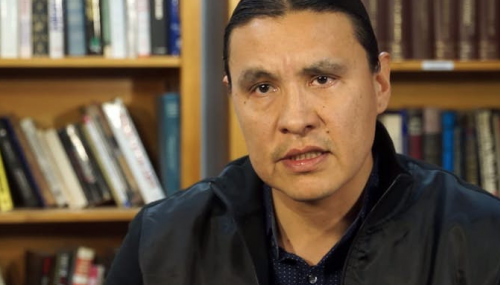 Iron Eyes’ attorneys were asking the court to accept a “necessity defense” on his behalf. At a court hearing that had been scheduled for this Thursday, August 23, in Mandan, North Dakota, the defense would have made the case that any action Iron Eyes took was necessary to prevent a greater harm. “The oil company demonstrated racial bias by moving the pipeline from a white community to the edge of the Standing Rock Sioux Reservation,” Sheehan said. The Lakota People's Law Project exists as part of the 501(c)(3) Romero Institute, a nonprofit law and policy center.